“You Must Remember This is a book of unnerving wonders, one in which improbable events are narrated with strange intimacy, lucidity, and sly wit. But Michael Bazzett is much more than a writer of imaginative narratives. Somewhere beneath the surfaces of these wild and lovely poems, I hear the clashing of individual personality with popular myth. Here, the poetic mind works simultaneously at two registers, one interior and deeply personal, the other public, performative and bold. 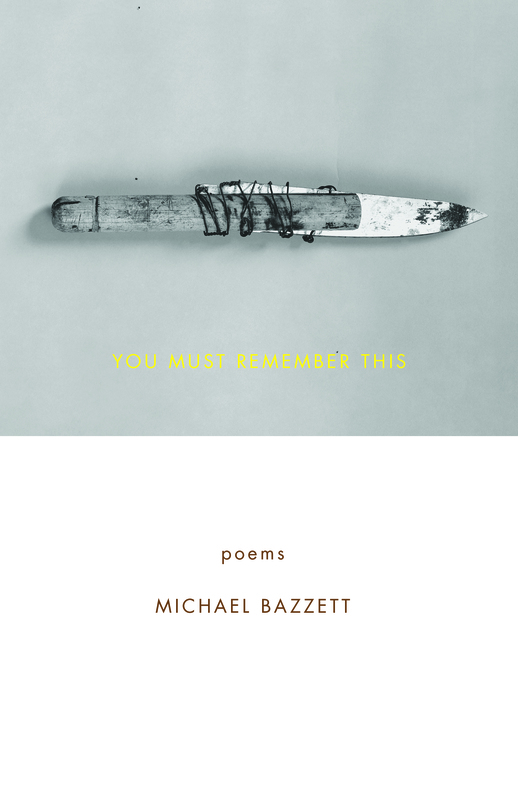 In this way, Michael Bazzett entertains us with wit and fable while revealing the otherwise unspoken fears, anxieties, and frustrations of an individual unique from the rest of us.